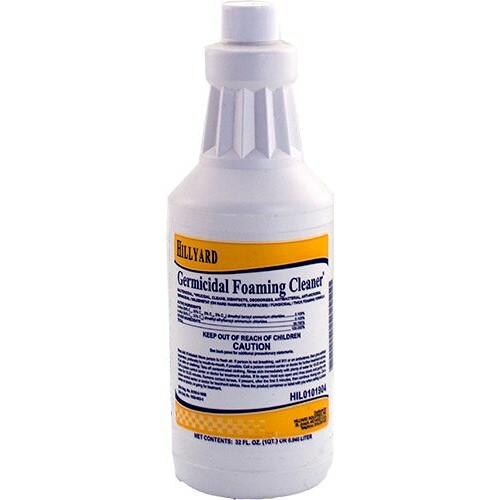 Germicidal Foaming cleaner an effective fungicide mildewstat that cleans, disinfects and deodorizes in one step. Removes even the toughest bathroom dirt without scrubbing on bathroom tiles,shower stalls, walls, sinks, tubs. Foams on contact without the use of a special foaming trigger sprayer. Ready to use. Cleans, disinfects and deodorizes in on simple step. Excellent clinging properties for fast, easy cleaning. Case Specs: 12 one quart bottles per case, sold as one quart bottle.